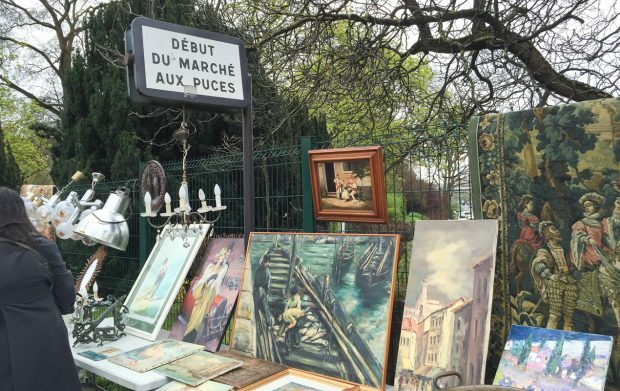 Paris has a wonderful selection of large flea markets, and most of them lie close to the périphérique, the road that marks the edges of Paris. The most popular and well known is the Marché aux Puces de Saint-Ouen to the north, but the one we are visiting today is the Marché aux Puces de Vanves, to the south. 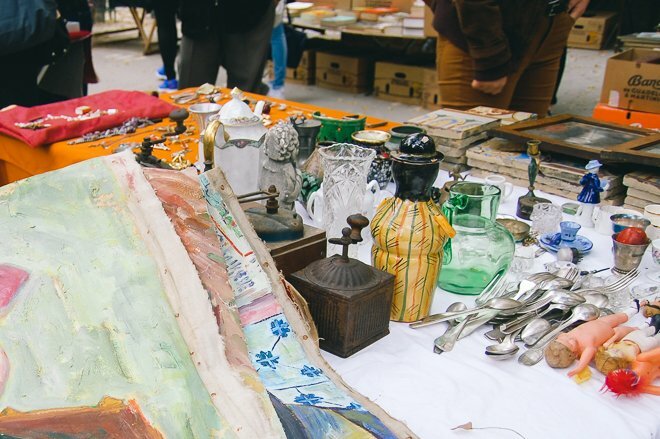 You could spend days exploring the best flea markets in Paris, and very enjoyable days at that! 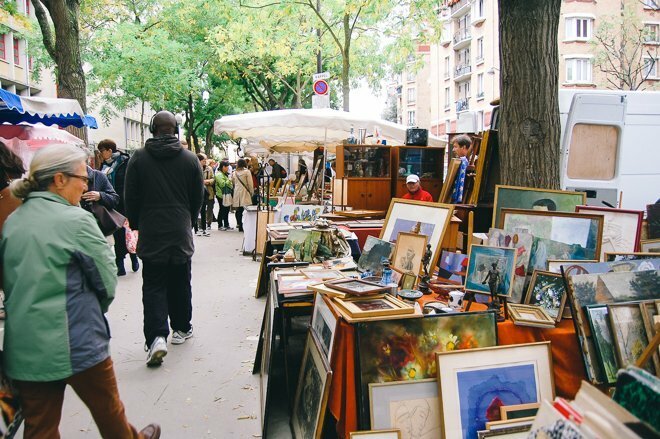 If you have a sense of discovery and love a good treasure hunt, then you’ll love the less crowded, more authentic experience at the Vanves market. 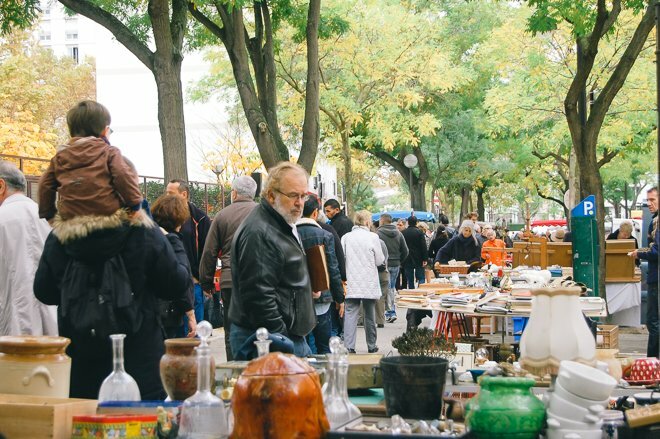 Let’s just say that although the Saint-Ouen flea market is extremely large and offers a wider selection in terms of quality and cost, many visitors find that the Vanves flea market is more manageable. While I love both markets, often I find the vendors here kinder and the browsing more enjoyable. 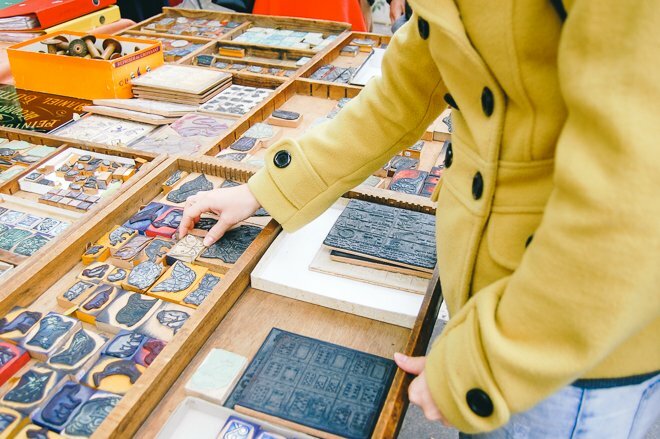 There’s nothing quite like a proper flea market, where vendors set up shop directly on the street and arrange their wares in a jumbled collage on mismatched tables; where sewing notions, marionettes, armchairs and leather-bound books come to mingle. You never know what you’re going to find as your eyes scan the array and your hands weave through the forest. There’s an element of mystery and suspense in the search because you never know what hidden treasure you’ll unearth or what strange gizmo you’ll discover. Will you be the one to discover a long-lost Picasso sketch or Monet pastel? Maybe you’ll find a charming teacup to add to your collection or some vintage editions of Vogue magazine. 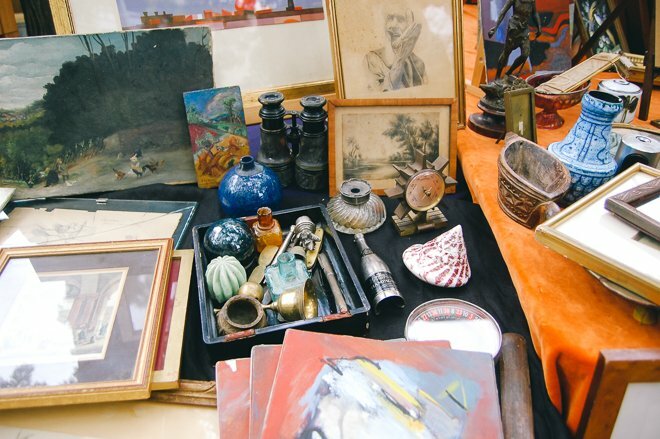 You can find anything here – the flea market is your oyster. An assortment of cups, vases, plates, and baskets, in various styles. A darling collection of vintage rubber stamps, most of them depicting animals. 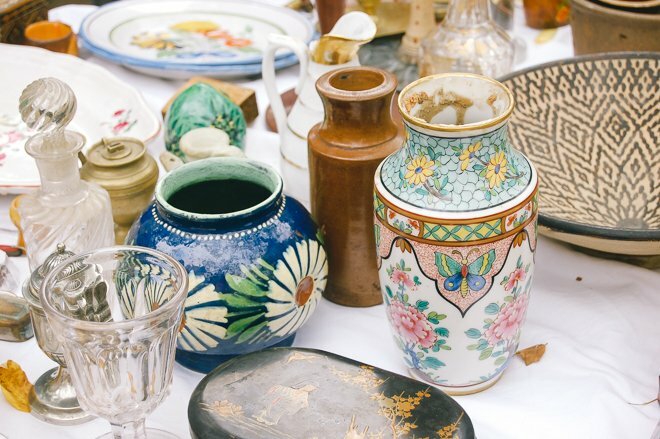 Wouldn’t it be lovely if items at the flea market could talk? They could tell you their life story, where they once lived, how often they were used and if they were loved or stored away in boxes. 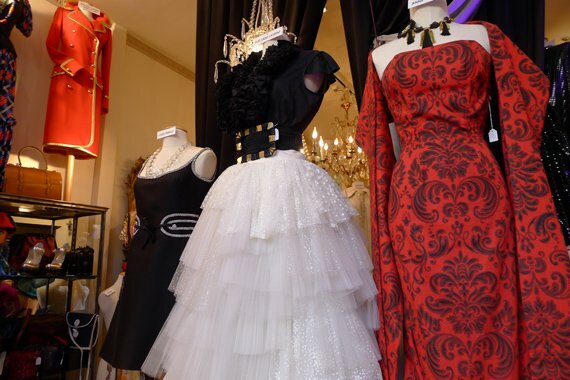 You’ll never know if the item you hold in your hands once belonged to a prince or an average Joe, but it sure can be fun to imagine. 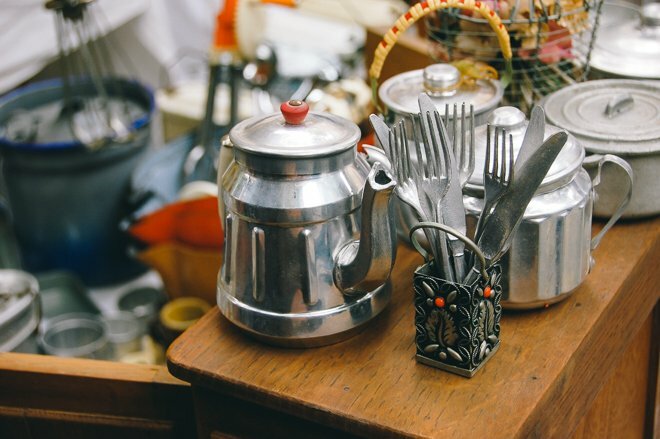 The Vanves flea market specializes in smaller, more affordable items. There is a handful of furniture and larger home-decor pieces, but they’re definitely not going to be in perfect condition. 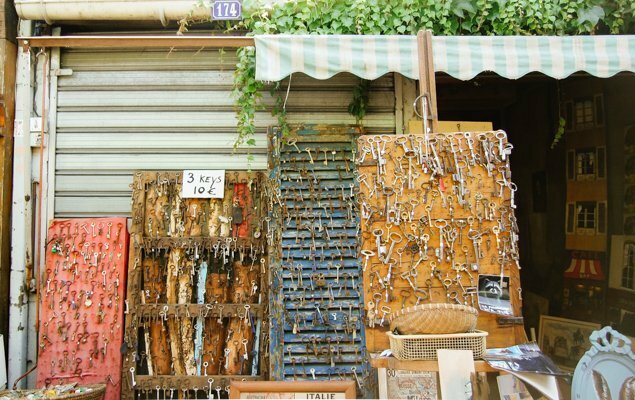 This is the perfect place to find unique little gifts for loved ones back home because most of the items won’t take up too much precious luggage space. 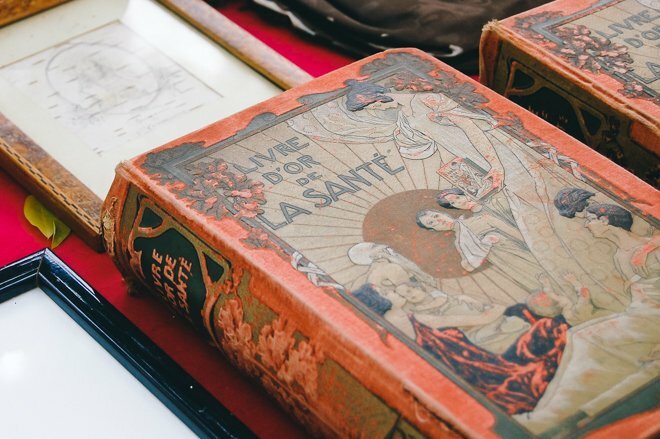 You’ll find a plethora of beautiful old books; I especially loved this one, with its Art Nouveau design. I also rummaged through a pile of unmounted canvas paintings, and even though they were crumbling, some of them had excellent color – this is where I kept my eye peeled for that lost masterpiece I mentioned earlier! If you’re quirky, you may enjoy finding creepy dolls, vases painted like clowns and miniature silverware that was probably manufactured for childhood tea parties. 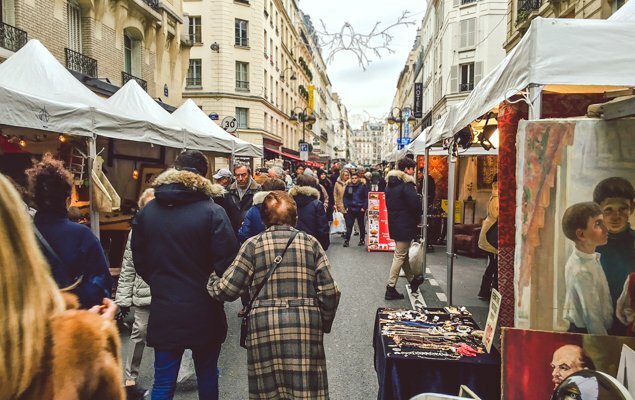 You can find the Marché aux Puces de Vanves at the very bottom of the 14th arrondissement, not too far from the Montparnasse neighborhood. It runs every Saturday and Sunday, rain or shine, even on holidays. Make sure to get there early so you don’t miss out! Hannah Wilson is a young twenty-something blogger who decided to swap the constant sunshine of her California hometown for the grandeur and charm of Paris. She loves discovering unique shops, parks, cafés and restaurants in Paris, and currently lives in Versailles with her Swedish husband. You can see more of her life at www.FrenchCalifornian.com. PREVIOUS: Culture Shock in France – Very Bad American Movie Titles! NEXT: Adventures and Lessons About Remodeling in Paris – the Champagne! Posted on Monday, March 9th, 2015 at 8:00 am in Shopping. You can follow any responses to this entry through the RSS 2.0 feed. You can leave a response, or trackback from your own site.